There’s something special about walking into a beer hall in Europe: the sights, the sounds, the smells. It’s a unique experience you can usually only find overseas. With that said, Queen Anne Beerhall offers a slice of Europe right here in Seattle. Queen Anne Beerhall (203 W. Thomas St.) is a huge space, occupying more than 7,000 square feet in Lower Queen Anne. With communal tables (including the rumble of conversation), a large selection of beers, and sausage cooking on the grill, Queen Anne Beerhall truly feels like a European beer hall. Not to mention, they have live European music on the schedule (much like beer halls overseas). 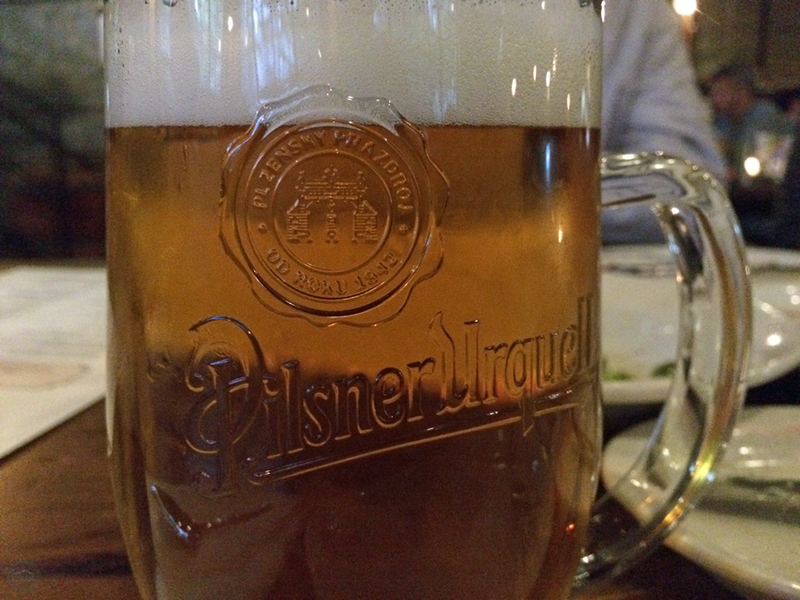 From German IPAs, to Pilsner Urquell served from a tap from the brewery in the Czech Republic, to local craft brews, there is a constantly rotating selection of 25 draft beers and more than 50 bottles at Queen Anne Beerhall. 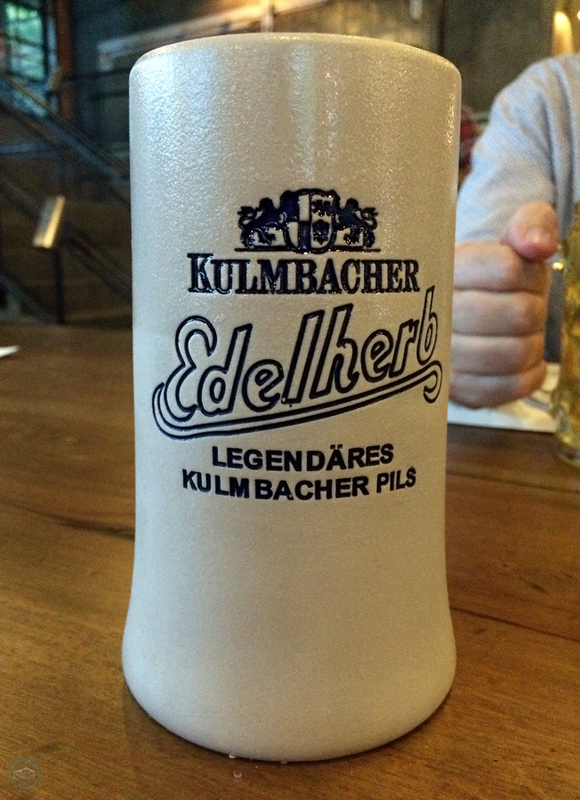 You can choose from a half liter or full liter (served in a real beer stein) when you order your brew of choice. Queen Anne Beerhall also makes specialty cocktails, using homemade syrups and shrubs. 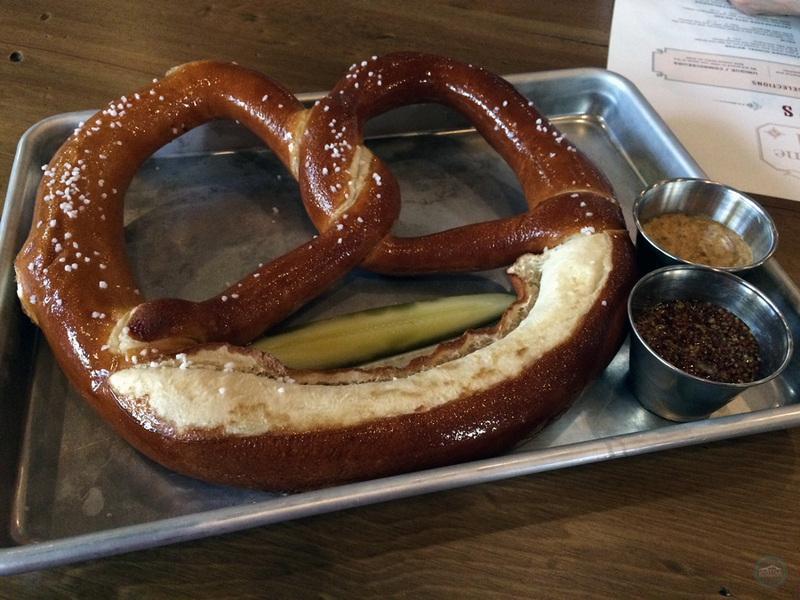 On top of beer and drinks, Queen Anne Beerhall offers a full menu. 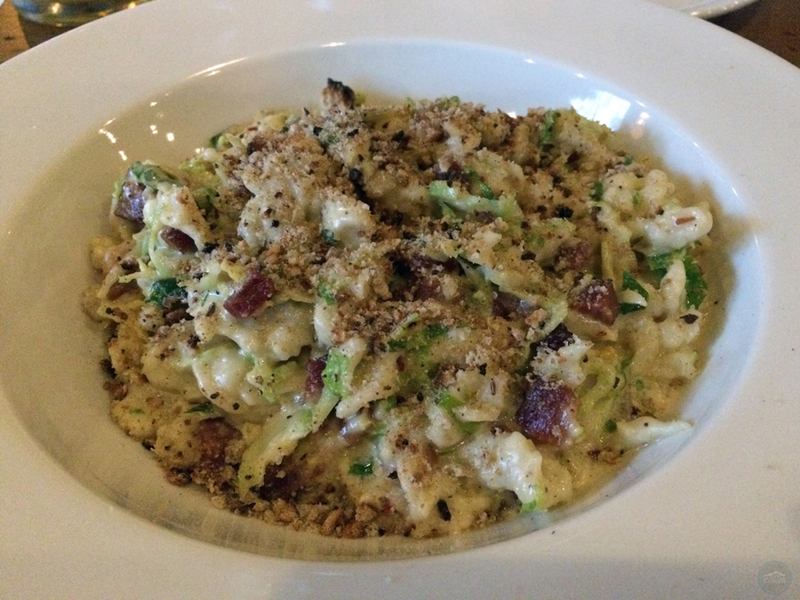 When we were there with a couple of family members, we shared two Bavarian pretzels, a roasted beet salad, roasted Brussel sprouts, Kaesespaetzle (with Dungeness crab, bacon, Brussel sprouts & rye), and Weiner Schnitzel (with fennel, cucumber, potato salad & lingonberry compote). The grill at Queen Anne Beerhall also serves bratwurst, weisswurst, kielbasa, and much more. Just a warning, the grill (not the rest of the menu — just the grill) is self-serve and cash only. 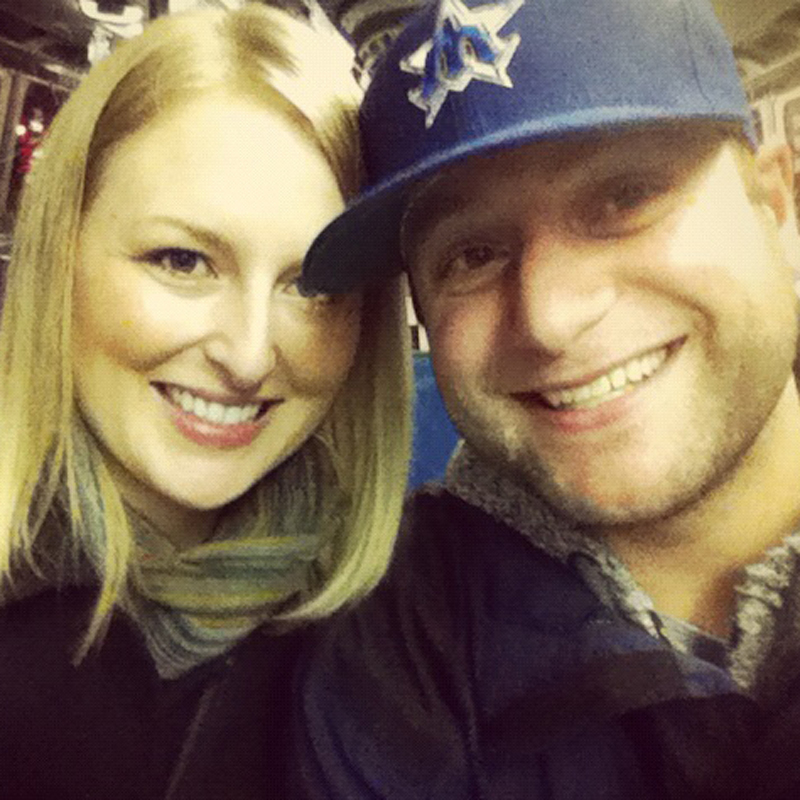 We really enjoyed our visit to Queen Anne Beerhall. Everyone is welcome there. We even saw couples with babies. It really seems like a fun place for the community to gather, so we’ll definitely go back again soon. 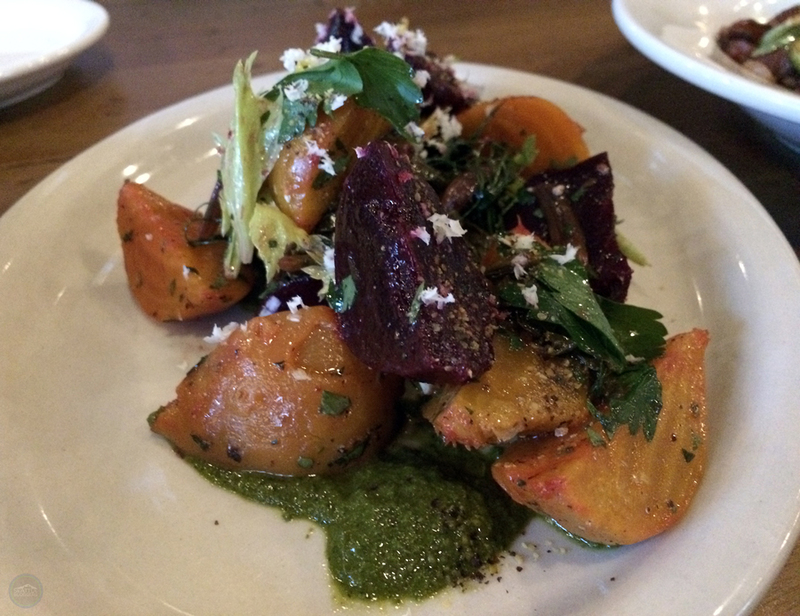 Have you checked out Queen Anne Beerhall yet? How was your experience? We’d love to hear from you! Please leave a comment below or connect with us on Twitter, Facebook, and Google+. Don’t forget to also check out Seattle Bloggers for more great places to visit around the Emerald City!